Well, we’ve waited a l-o-n-g time for this. At last, a Cleanse & Polish for bodies! No gritty bits. (We hate those, in the bath.) Just gently a gently cleansing cream which you massage into skin with the accompanying mitt. But basically, it’s a lovely skin-cleansing option from head to toe. Best of all, it has that amazing, signature Cleanse & Polish fragrance – a head-clearing rush of eucalyptus oils which so many of us associate with getting clean, at night. One side of the mitt is like a flannel, the other slightly ‘looped’ and a little rougher – but still gentle, as the name promises. 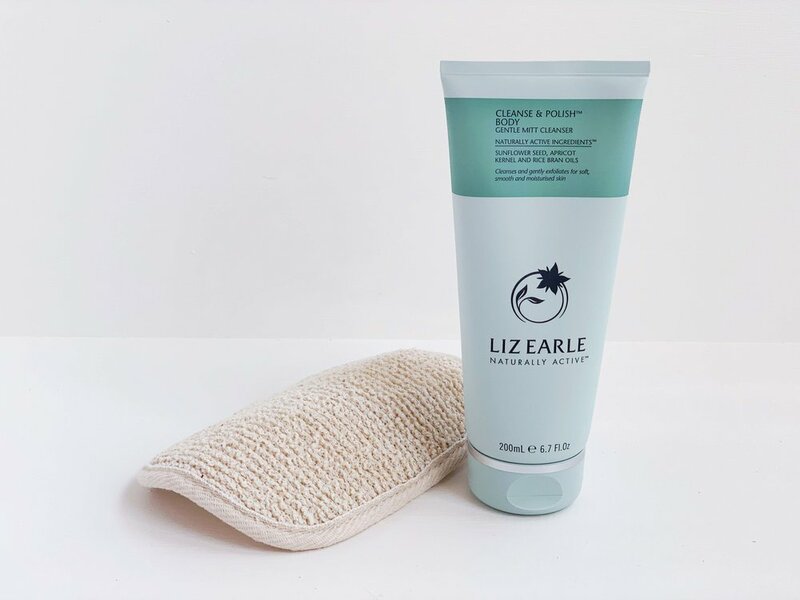 You use it on damp skin, paying particular attention to anywhere that needs a little extra smoothing and exfoliating, such as knees and heels. And don’t be surprised if it completely colonises British towel rails the way the signature Liz Earle muslin cloth has, over the past 20+ years.